With millions of downloads, GOM Media Player for Windows is one of the better video players around. 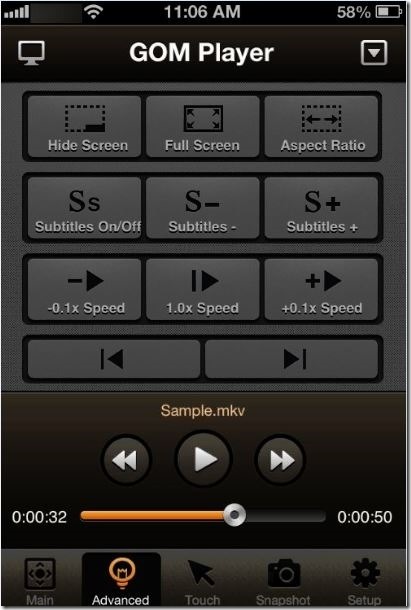 This free video player supports most of the popular video formats out there and also packs-in hundreds of features and options to enhance your video watching experience. 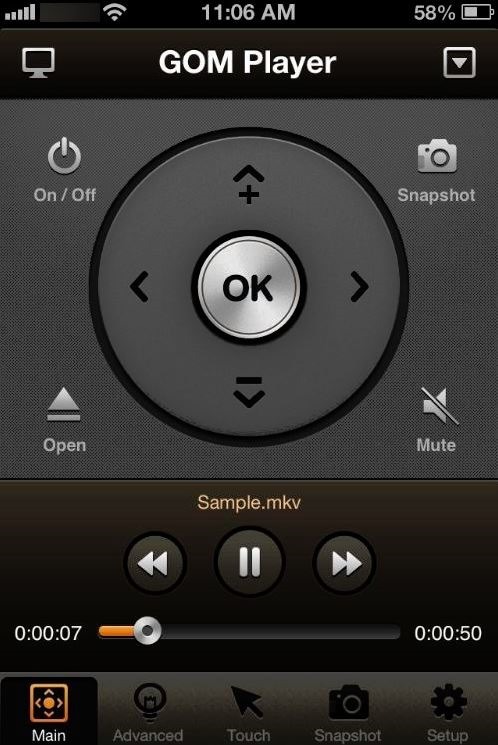 GOM Lab, the company behind GOM Player, has recently released a new app named GOM Remote for smartphones so that users can easily launch and control GOM Player right from their smartphones, without touching the keyboard or mice. 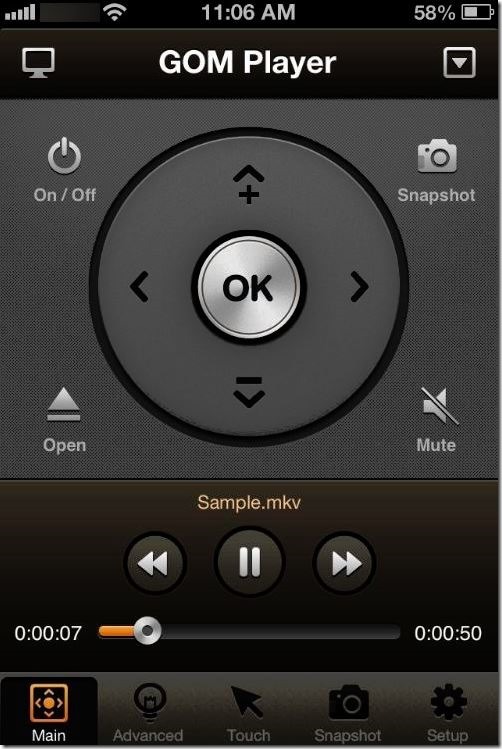 In simple words, you can use GOM Remote app to control GOM Player running on a PC on the same network. Yes, the only thing you need to remember is that your PC and your phone must be on the same Wi-Fi network. 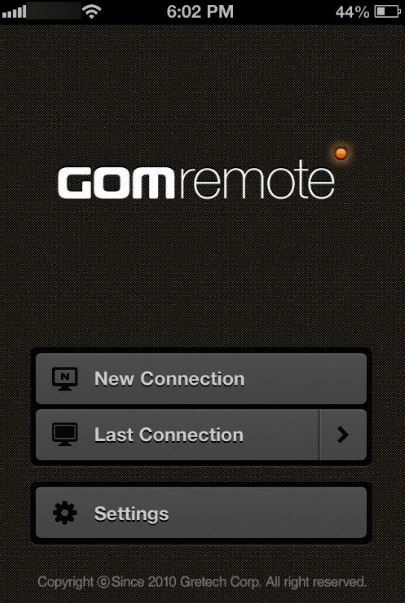 GOM Remote app is currently available for iOS and Android operating systems only. Windows Phone users may need to wait for a few more months to see GOM Remote app in the Store. Installing and setting up the app is fairly simple. 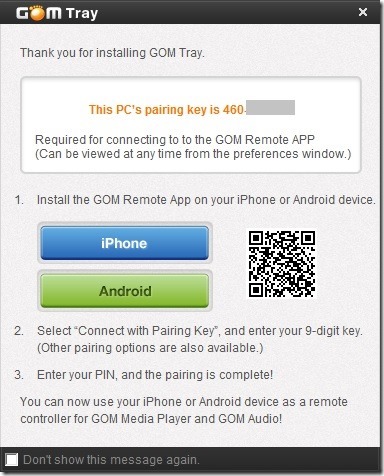 But in order to use GOM Remote to work with your PC, you need to install a small software named GOM Tray on your PC. GOM Tray is a free software and once installed, it will sit in the system tray area of the taskbar. 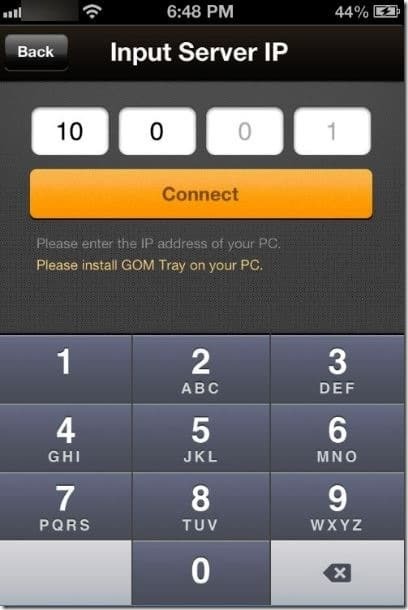 GOM Tray provides the IP address and your PC’s pairing key that you will be asked to enter while connecting your smartphone to the PC. GOM Remote app is compatible with Windows 7, Windows 8 and Windows 10. Step 1: Download and install GOM Tray tool on your PC. Once GOM Tray is installed and launched, it will display the pairing key number for your PC, the key that you need to enter on your smartphone in order to connect to the PC. Note that you don’t need to write down or remember this key as you can always view this pairing key by hovering mouse cursor on GOM Tray icon running in system tray. 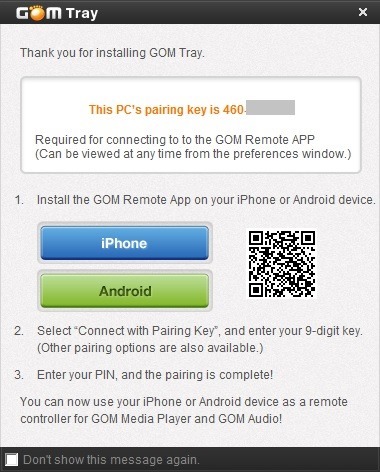 Step 2: Visit iTunes Store from your iPhone or Google Play from Android powered smartphone and install GOM Remote app. Step 3: Once GOM Remote is installed, launch the same. Tap New Connection, tap Input IP button, enter the IP address of your PC that you see when you hover mouse cursor on GOM Tray icon running in system tray and then tap Connect button. 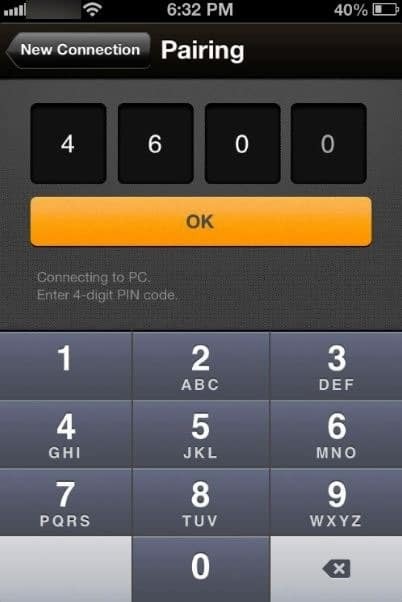 Step 4: As soon as you tap the Connect button you will see a 4-digit code on your PC’s screen that you need to enter on your GOM Remote app. Enter the 4-digit code and tap Ok button to establish a connection to your PC. That’s it! GOM Remote will connect to your PC and you can now launch and control GOM Player from your phone. That’s it! 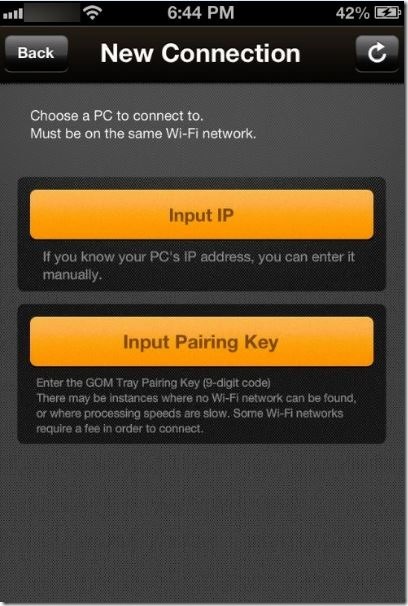 From next time onwards, to connect to your PC, simply tap Last Connection, tap Input Pairing Key, enter your PC’s pairing key and finally tap Connect button. What if someone doesn’t have Internet connection or he is at a place with no WiFi? Can’t change port of the gom tray. I had 2 other application that used 8888, so gom tray has trouble to bound to it. If u getting “Connection Error” your problem is firewall. If u using windows firewall u need to go to control panel then click on windows firewall and then u click allow a program or feature through windows firewall. 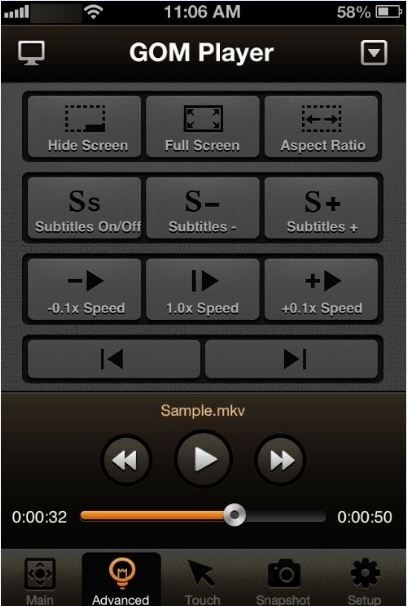 Select the check box next to GomTray and then your remote is ready to use! I’ve tried almost everything , still doesn’t work. I enabled UPNP on my router, added an exclusion in ESET Nod Antivirus and enabled sharing options in network connections. Would love to have this app work . Can somebody please help me out . Am running Windows 8 and yes, both my android device and PC are on the same wifi network ! Mikegc I had the same trouble and I was breaking my head… until I remember the firewall of my antivirus (I had disable the one from Windows)… And it was it… I disabled the firewall from the Eset SmartSecurity antivirus and it worked perfectly… I had to make an exception rule so I don’t have to disable every time (it was a little bit complex ’cause I had to put the firewall in the interactive mode so it asked me what to do when it detected the incoming conection, in this case, created an exception rule, and then I switched to the firewall with exceptions…) I hoped I explained myself and this info is useful to you. Are both iPhone and PC running GOM on the same network? every time I try to connect, an error appears: “Connection Error”.